Trending at $101.50eBay determines this price through a machine learned model of the product's sale prices within the last 90 days. Model:Silverado LT LTZ LS Avalanche Tahoe Z71 Suburban. 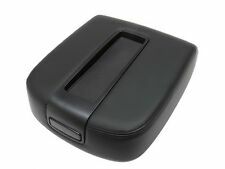 Fits:Center Console Lid. PROUDLY made in USA (Houston, Tx) . The plastic base is NOT included. 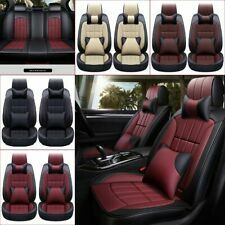 5-Seat Car Seat Cover Protector Cushions Front & Rear Full Set Headest. Head design Matched with headest and Cushion pillow. 2x Front headest. 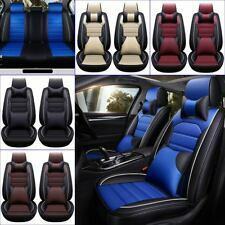 Large base in front row, whole surrounded design at side of front seat, slide protect the car seat well. 2003 - 2009 Toyota 4Runner. Leather Seat Covers vs Vinyl Vinyl is much more prone to cracks than leather. In the cold, vinyl gets hard and stiff. Leather stays soft and supple. Leather is very strong and durable, lasting Many years. 2002 Ford F-250 and F-350 Lariat crew cabs. 2003 Ford F-250 and F-350 Lariat crew cabs. 2004 Ford F-250 and F-350 Lariat crew cabs. 2005 Ford F-250 and F-350 Lariat crew cabs. 2006 Ford F-250 and F-350 Lariat crew cabs. MODEL: Tahoe, Suburban, Avalanche, Yukon, Silverado, Sierra. FITS VEHICLES MAKE: GMC, CHEVY. FITS: Driver's Seat- Bottom (Heated an d Non-h eated seats). 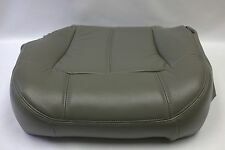 This Driver Bottom Synthetic Leather seat cover, built to factory specs, with OEM Quality Synthetic Leather to match the Interior of your vehicle! 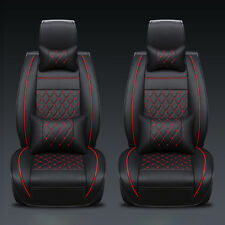 Pair ofSeat Armour Black Towel Seat Covers for Toyota (SA100TOYB). Own a Toyota and want to show off your loyalty?. This Seat Armour Seat Cover with the official logo for Toyota can make you do just that! 2000-2002 GMC Yukon XL 1500 SLT, SLE, 2WD, 4X4, AWD. 2000-2002 GMC Yukon XL 2500 SLT, SLE, 2WD, 4X4, AWD. 2000-2002 GMC Yukon SLT, SLE, 2WD, 4X4, AWD. 2000-2002 GMC Yukon XL 2500 Quadrasteer SLT, SLE, 2WD, 4X4, AWD. 2007 - 2014 Chevy Tahoe LT, LS, LTZ, Z71, Hybrid. Model : Tahoe Suburban Silverado ,Avalanche and Yukon. 2007 - 2014 Chevy Suburban LT, LS, LTZ, Z71. Years Fitted: 2007 to 2014. Color : Ebony Black. The plastic base is NOT included. Trending at $49.66eBay determines this price through a machine learned model of the product's sale prices within the last 90 days. Pair ofSeat Armour Tan Towel Seat Covers for Lexus (SA100LXST), Own a Lexus and want to show off your loyalty?. This Seat Armour Seat Cover with the official logo for Lexus can make you do just that! 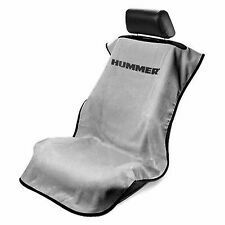 2003 2004 2005 2006 and 2007 classic Chevy Silverado 1500, 2500 3500, HD truck front driver bottom Vinyl seat cover in dark pewter gray. Makes Fitted : Chevy Silverado LT & LS. Color : Dark Pewter Gray - (692 or 69i Trim Code) Original's Exact Color Match. It can be taken with you from your car wherever you go. The Tan color blends very well with most interiors. Not only Seat Cover but also doubles as the ultimate car seat towel that can be used everywhere you go. Model: F250 & F350 (Lariat, XL, FX4 & XLT: Regular, Super & Crew Cab). 2001-2003 Ford F-250 Lariat, XLT w/ Quad-Cab, Extended-Cab, Super-Cab, X-Cab, 4X4, 2WD, Gas, Diesel. 2001-2003 Ford F-350 Lariat, XLT w/ Quad-Cab, Extended-Cab, Super-Cab, X-Cab, 4X4, 2WD, Gas, Diesel. Model: F250 & F350 (Lariat, XL, FX4 & XLT: Regular, Super & Crew Cab). color, for 2002 2003 2004 2005 2006 and 2007 Ford F250 and F350 Lariat. (If you need Driver And Passenger side, buy 2 Drivers Side we'll send you 1 driver and 1 Passenger side). 2007 Toyota Tundra Regular Cab, Double Cab, Crew Max Cab, Tundra Grade, SR5, WT. 2008 Toyota Tundra Regular Cab, Double Cab, Crew Max Cab, Tundra Grade, SR5, WT. 2009 Toyota Tundra Regular Cab, Double Cab, Crew Max Cab, Tundra Grade, SR5, WT. 2007 - 2013 Chevy Avalanche LT, LS, LTZ, Z71, Black Diamond. Fits : Center Console Lid. DIY console lid armrest cover (skin only). 2007 - 2014 Chevy Tahoe LT, LS, LTZ, Z71, Hybrid. 2007 - 2014 Chevy Suburban 1500 2500 LT, LS, LTZ, Z71. 2003 to 2006 Chevy Silverado 1500 2500, Color Trim Code: 522. 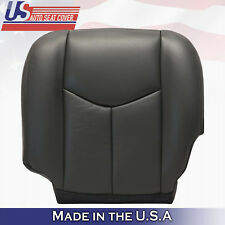 03-07 Chevrolet Silverado Driver Side Bottom Vinyl Seat Cover Tan -522. 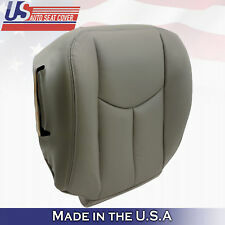 03-07 GMC Sierra 1500 HD 2500 HD 3500 DRIVER Side Bottom Vinyl Seat Cover TAN. Trending at $106.88eBay determines this price through a machine learned model of the product's sale prices within the last 90 days. Model: Excursion (Limited, XLT, 4X4). Make: Ford. Leather surfaces are just like beautiful, delicate skin. Leather must be carefully cleansed before it can be properly conditioned. Side Fitted: Front Driver Side. 2001-2004 TOYOTA SEQUOIA Driver Bottom All Synthetic Leather Seat Cover Tan. Side : Driver Material : Synthetic Leather. This Bottom Seat cover, built to factory specs with OEM Quality Material to match the Interior of your vehicle! 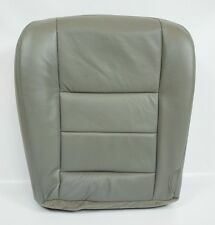 1996 1997 1998 1999 2000 2001 2002 Toyota 4Runner Driver Bottom Leather Seat Cover Color Tan. Color:Oak Tan. Make: Toyota. Side Fitted: Front Driver Side. Material: Leather. Manufactured: Made in USA. National NTS23262307 Seat Bottom Cushion Cover Gray Vinyl . Condition is New. 1999 - 2000 Ford F250 Lariat, XLT(Leather), 2WD, 4X4, 5.4L 6.8L Gas, 7.3L Power Stroke Turbo Diesel. 1999 - 2000 Ford F350 Lariat, XLT(Leather), 2WD, 4X4, 5.4L 6.8L Gas, 7.3L Power Stroke Turbo Diesel, Dually. This driver bottom LEATHER seat cover, built to factory specs with OEM Quality Leather Or Better to match the Interior of your vehicle! this item has a power seat wiring cut off on bottom right as it shown in the pictures.